Online ordering menu for Gumby's Pizza Tallahassee. 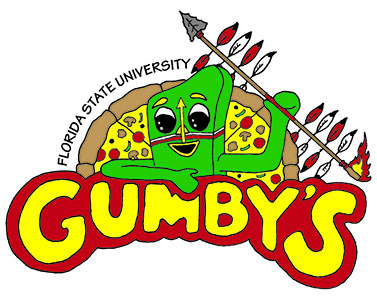 Try one of our pizzas here at Gumby's Pizza Tallahassee such as the Barbecue Buffalo Chicken, Pepperoni Heart Attack, and the Loaded Greek. We also serve salads, wings, calzones, and more! Find us on Tennessee Street between Dewey Street and Copeland Street. We're near Florida State University and Carter-Howell-Strong Park. Order online for carryout or delivery!